This page will save you a lot of time – and maybe your job. Listed below are the most frequently-asked questions I’ve been asked about the hair drug test by the millions of visitors to this site over the past couple of years. If you have any other questions you’d like me to answer, drop me a line in the comments section below. How effective is the hair follicle drug test in detecting past drug usage? How far back in time does a standard hair follicle test go? Which drugs can be detected by a hair drug test? How much hair is sampled for a hair drug test? How fast does the hair on my head grow? Can they test my body hair? What if I’m bald or shave my head? What if I have really long hair and don’t want to cut it? What’s the most effective way to pass a hair drug test? A hair drug test is a procedure in which a small sample of hair is taken & analyzed to identify drugs used by the person being tested. The sample is sent to an independent lab that analyzes it for traces of specific molecules. A hair follicle drug test lab looks for a minimum threshold, or concentration, of specific trace chemicals in the hair sample. The molecules detected during the test may be the drug itself, or they may be metabolites that are produced when the body processes the drug. Very. Because your hair stores a record of what’s in your blood as it grows, the hair drug screen is far more effective than a urine or blood test for detecting long-term drug use. 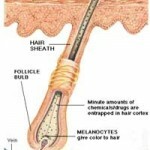 The length of time the hair follicle test can detect prior use is really only limited by the length of your hair. However, most labs only sample 90 days’ worth. Most drugs flush out of your bloodstream within 7 days after last use. This is why blood and urine tests are limited in their visibility into your past. Most urine tests cannot detect use more than 48-96 hours in the past, for example. All drugs and drug metabolites are transferred from the bloodstream into your hair by way of the hair follicle, as your hair grows. In some cases, these trace chemicals are also deposited onto the surface of the hair through sweat glands, which are fed by your bloodstream. This is true for marijuana’s metabolite, THC-COOH (delta9-THC-COOH). A standard hair drug screen looks for drug use during the prior 90 days. Some employers and government agencies may order tests that go back 6 or 9 months, but hair tests lose their accuracy beyond 90 days. Longer tests are also more easily challenged due to the effects of weathering and chemicals on hair. 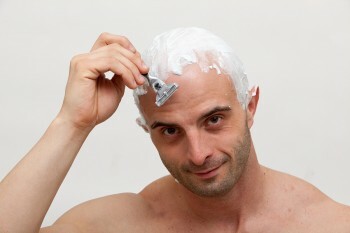 To take a 90-day sample of head hair, a 1.5 inch lock of hair is cut from your head, from the scalp line outward. The standard GC/ MS confirmation screen calls for sampling 40+ mg of hair, which is about 60 strands. On average, human head hair grows about 1/2 inch per month. That said, the history of drug use captured in a standard hair sample can vary by as much as 1 week either way, depending on hair type. Your ethnicity, hair thickness and hair color will all impact how many days of history are detectable in the sample. Coarse and curly hair takes more time to grow. 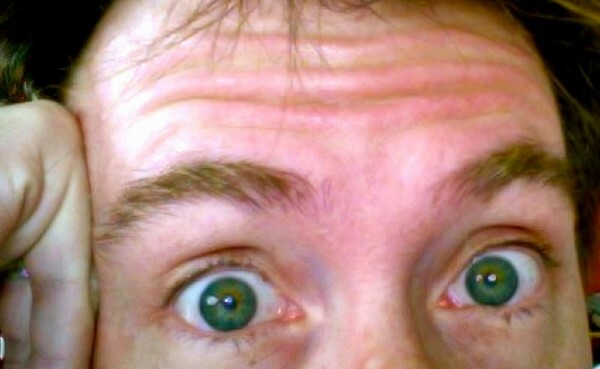 For this reason, more than 90 days of drug use may be locked inside a 1.5 inch sample of dark, curly hair. Fair, straight, thin hair grows faster than average. So, less than 90 days of history may be captured in a blonde hair sample. Yes. If you shave your head or are naturally bald, then the sample station will often take a sample of your body hair, instead. This increases your risk of failing, however. That’s because body hair grows considerably slower than head hair. It is tough for a sample station technician to know exactly how much body hair to take. For this reason, body hair samples may reveal up to a year of history. Different technicians and testing labs handle this situation differently. Some technicians are instructed to turn you away, which may be treated as you refusing to take a hair drug test. Some may request a urine and/or blood test as a substitute. Most will either sample your body hair as a substitute or accept a less than 1.5″ from your head, depending on how much hair is available on your head. How the test sampler handles this situation ultimately depends on the contract the lab has with the organization that ordered the test. If you haven’t used drugs during the past 100 days (140 days for marijuana), then don’t worry: you’ll probably pass. In this situation, it’s not critical for you to cut your hair before the test, either. That’s because you will grow enough clean hair to sample during that timeframe, and the lab takes the sample from your scalp line out, and discards the rest. Ignore those pills, detox drinks and weird home grown cleaning remedies. There are only two proven ways to beat a hair drug test if you’ve been using drugs: abstinence, or clean the chemicals from your hair. The best way to pass a hair drug test is really simple: stop using drugs at least 100 days before your test. Then, if you want to eliminate any chance that the lab tech might accidentally sample your older hair, cut the hair on your head down to 1.5″ in length all around your head, right before your test. If you have the time to abstain for 100+ days, then you will pass – regardless of the type of drug you used. That said, there is ONE EXCEPTION to the 100-day rule: marijuana. If you are a heavy / chronic marijuana user, then you’ll need at least 140 days of abstinence before cutting your hair down to 1.5″. This is because it takes about 30 days for marijuana to clear out of your bloodstream. Only marijuana has this issue. If you are a light marijuana user, then you’ll need at least 110 days. Learn how long marijuana stays in your body. If you don’t have the luxury of a 100-140 day advance notice of a hair drug test, and you’re still using, then your best bet is to try and clean your hair. See Step-By-Step Instructions for Macujo method & Jerry G method. To learn more about the Hair Drug Test, check out our home page. For just the highlights, click on the infographic below.